Maritza Plovdiv are Bulgarian Champions for the fifth consecutive time! Another Championship title and a new domestic success. The young women of the Maritza Plovdiv VC team have been crowned Bulgarian Champions for the fifth consecutive time in their history. 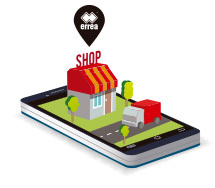 As their official technical partner, we at Erreà send them our heartfelt congratulations. Maritza Plovdiv represents one of Bulgaria's most successful volleyball teams and they were the first ever domestic club from that country to compete in the CEV Champions League in 2016.